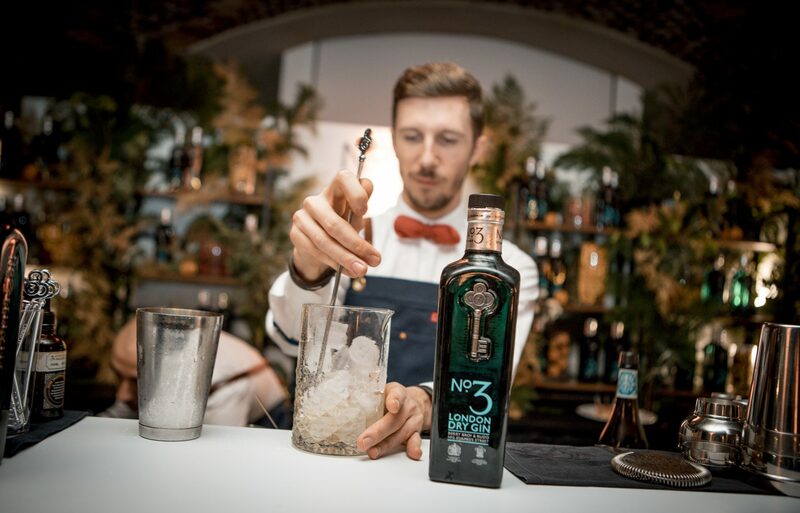 Building on its success over the last two years, No.3 Gin has announced the launch of its third, annual cocktail tournament – now open for entries until 28th February 2019. The three-part competition sees the winner receive an incredible all-expenses-paid trip to Hong Kong, as well as a residency at one of the world’s top 50 bars. Round One of this year’s challenge invites the UK’s best bartenders to create a modern twist on the 20th Century Cocktail, using No.3 in this once iconic recipe that heroes the gin’s quintessential style and embraces the spirit of Unlock Taste – a platform to elevate gin serves using intriguing flavour combinations. The epitome of a traditional London Dry Gin, No.3 balances fresh citrus notes and gentle spice through a combination of three fruits and three spices – with juniper at its heart. These simple yet powerful flavours provide the ideal canvas for accentuating and complementing core botanicals with other ingredients, encouraging drinkers and makers alike to ‘unlock’ different taste profiles and discover their own sense of preference. A shortlist of successful contestants will then be invited to one of five regional finals in April, covering Scotland, North England, South England, South & East London and North & West London. Here they will test their wit, knowledge and bartending prowess against competitors from their district, whilst presenting their reimagined 20th Century Cocktail recipes to a panel of judges. Whilst the winners will automatically qualify for the National Final at No.3 St. James’s Street on 21st May, the runners-up will also be invited to a private dinner on the eve of Final. Here they will battle it out for one remaining place, bringing the total number of challengers to six – symbolic of the six botanicals comprising No.3 itself. This year the top three, will be selected by a panel of esteemed judges, including Richard Gillam, Simon Difford and Alessandro Palazzi, all renowned in their fields. In addition to the crown of being No.3 Gin’s Unlock Taste UK champion, the winner will be gifted a five-day luxury experience for two in Hong Kong, including flights, and accommodation. What’s more, there will be the opportunity to lead a bar takeover at one of the world’s top 50 bars. For details on how to enter and terms and conditions, please contact your FMV representative or contact [email protected]. Entries beyond 28th February 2019 will not be accepted.